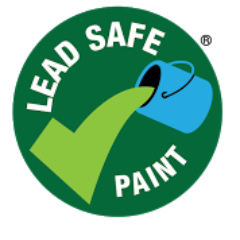 Whenever possible, customers should purchase paints with the Lead Safe Paint® certification. When this is not possible, customers should look on the paint can for information about lead content on the label. If this information is not available, customers should tell the shop owner that they want to purchase paint that is less than 90 ppm total lead content and ask for advice on which paint is best. However, customers should be aware that some companies have been known to make false claims about the lead content of their products.